Annual rendezvous fosters fellowship among the trees. 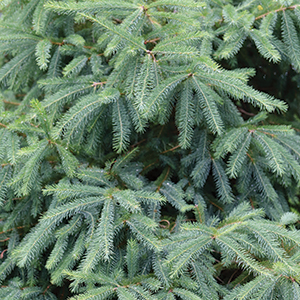 Above: A spruce tree in the garden of Ed and Kelli Rinderspacher near West Branch, site of the 19th Conifer Rendezvous, an annual gathering of Iowa conifer lovers. 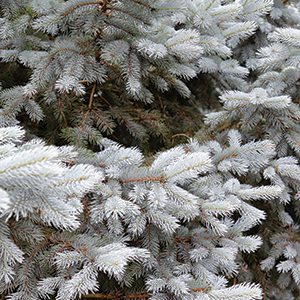 A white spruce tree in the Rinderspacher garden. 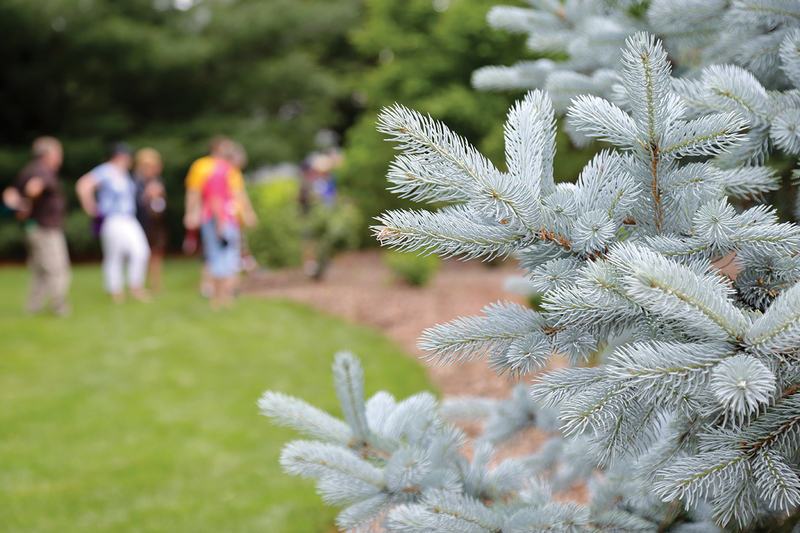 Every summer, a cadre of gardeners assembles somewhere in Iowa to celebrate conifers together. There are no long lines waiting to get in. Rain is rare. You don’t need a passcode, although if you know the difference between a spruce and a pine, it will make conversation easier. For the last 19 years, this grassroots gathering known as the Conifer Rendezvous has brought together diehards to celebrate their favorite cone-bearing trees and shrubs—and their connections to each other. For these Iowans, Arbor Day just isn’t enough. This homegrown evangelism for conifers seems to stem from a few prophets of needles and cones, including Gary Whittenbaugh. The Oelwein resident and his brother Tom organize the Rendezvous each year, sending out invitations to a growing list of followers. They also serve as official greeters at the host garden, chatting up visitors by the vanloads, most of whom are old friends. A JW Daisy white Alberta spruce tree. 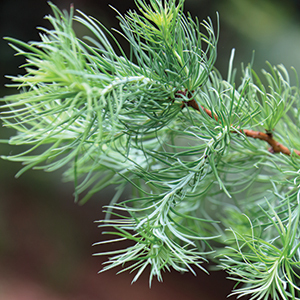 The event began as a friendly, low-cost alternative to the formal meetings organized by the American Conifer Society. “We’ve had 125 people before. That was 2010,” interjects brother Tom, referring to the year it took place in the Whittenbaugh brothers’ famed garden in northeast Iowa. A Coors Colorado blue spruce tree. Both Whittenbaughs credit that itinerant strategy for expanding interest in the gathering, which hasn’t needed much publicity outside of social media to fire up the conifer congregation. “When I put a conifer on Facebook, I get more hits than anything else,” says Gary, who can rattle off his top-performing posts in botanical Latin. 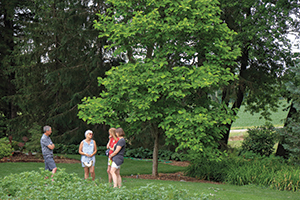 This year, the Rendezvous began just north of West Branch at Ed and Kelli Rinderspacher’s garden, a veritable arboretum surrounded by horizon-long lines of corn and hay. Their collection spills down a hill surrounding their farmstead, featuring handsome trees grown to masterful effect. 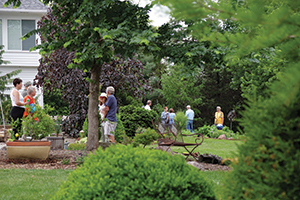 As hosts, the Rinderspachers served as the starting line for the day’s festivities, which featured a box lunch (the only thing guests have to pay for) followed by an open house-style tour of four other gardens in the Iowa City area. Conifer Rendezvous co-founder Gary Whittenbaugh. 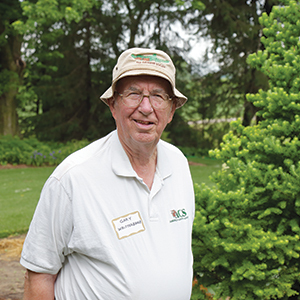 Ed Rinderspacher, a certified arborist who owns a landscape maintenance business, is a veteran of the cloudless prior gatherings. “I’ve been [on this farm] 23 years. The windbreak was here. 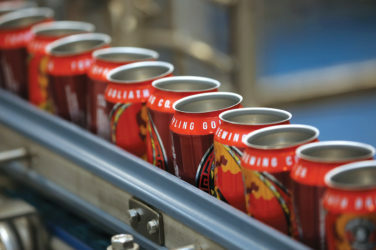 That was it,” he says, pointing toward a row of aging silver maples as he describes the two-decade effort that established this landscape to a small group gathered within earshot. The Rinderspachers’ four-acre garden is a series of “rooms” with walls of trees, often built to replace trees before them. Each room features a particular grouping of trees or other plants, like voodoo lilies, a recent obsession. All good collections need a gallery space for proper display. “This one over here will get as big as our heads,” he says, pointing to a barely emerged leaf that will bolt skyward in tropical fashion over the course of the next month. As the group wanders from room to room, some lingering to chat or take photos, Ed keeps the ambling tour moving along. “That’s the Carolina hemlock,” he says, pointing toward a small tree in a border along the driveway. Carolina hemlock is a rare plant in its native range in the southeast, but a trophy in the gardens of collectors. 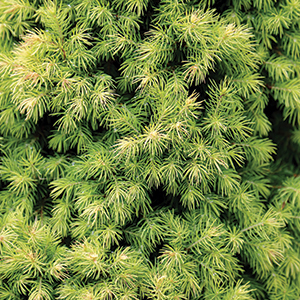 He rattles off three other hemlocks within eyesight, all cloaked in soft, brightly colored new growth. Most of the 100 or so gardeners, from all corners of the state plus Wisconsin and Illinois, agree: You come for the trees, but stay for the people. Yet the trees are the fellowship’s currency—compare notes, trade insights, tell stories and yearn for the latest and greatest. Those are the rules of the rendezvous. Chief among storytellers is Dennis Hermsen, a nurseryman from Farley who hasn’t missed a Rendezvous in 19 years. 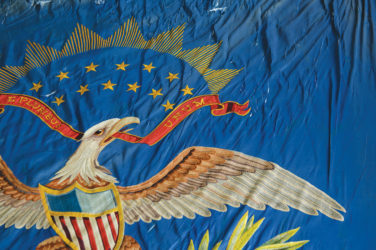 By way of introduction, he likes to say he introduced the Whittenbaugh brothers to conifers, which sort of makes him a godfather of the Rendezvous. “You can’t blame it all on me,” he says with a laugh. Hermsen is the institutional memory of the gathering and a repository of vast amounts of knowledge about trees and their origins. He’s explored the Rocky Mountains for trees, and he grafts unusual finds that he will sell to collectors and landscapers. But for all his encyclopedic memory, Hermsen says he comes for the gardeners he’s met along the way. A Diana Japanese larch tree in the Rinderspacher garden. 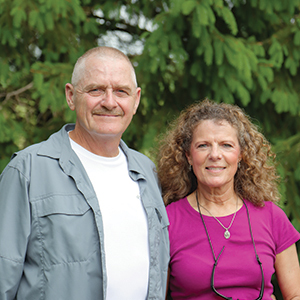 Kelli and Ed Rinderspacher, hosts of the 19th annual Conifer Rendezvous. Rendezvous attendees gather in the Rinderspacher garden. 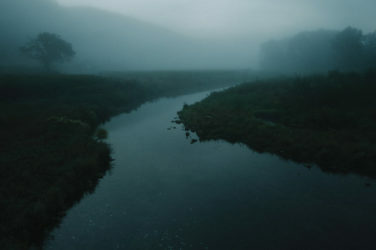 Searching for trout in the restored cold-water streams of Iowa’s driftless area.